A BIG CONGRATS goes out to Richard & Helen Robinson for achieving such an amazing milestone! 300,000 miles! Wow! Talk about a lifetime of miles & memories on two wheels! We could not be more proud to have you two crazy kids be apart of our local chapter for all of these years! Richard Robinson has been riding motorcycles since he was a kid, in fact anything with two wheels he wanted to be apart of. 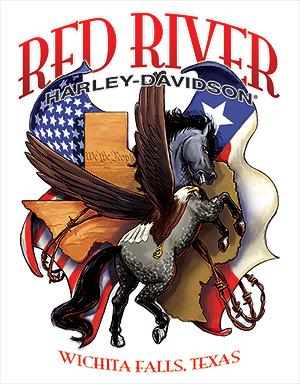 But it wasn't until a chance meeting with a family friend of Jim Gilmore back in the early 80's that brought Richard through the doors of Red River Harley-Davidson® where he became re-acquainted with Harley-Davidson® and he has never looked back! Richard & Helen have been fixtures in our dealership since the beginning. They ride year around (still to this day!) and have been loyal RRHD family members since the 80's. Not only are they personally engulfed in the Harley® lifestyle over the past few decades but they also instilled those same values and love for the brand in their children. 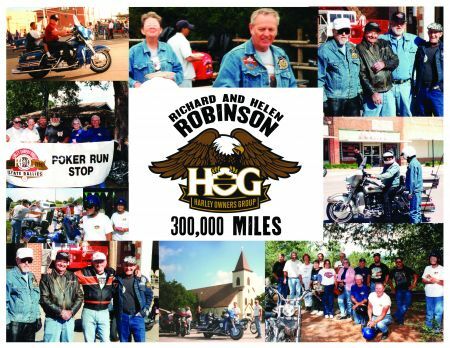 The Robinson's are a picturesque portrayal of what it means to LIVE Harley-Davidson® and we could not be more proud to have them be apart of our local RRHD H.O.G. Chapter and RRHD family.